Ovulated Yesterday – Erins Journey to Motherhood. Well, H and I have had a hrad time fitting in the baby making this cycle, as my most fertile day fell on the day H works untill midnight, and the night before we got given tickets to a sports game, and I had never been into the big new stadium around the road from us so I couldn’t say no really. We did get it done a few times though. 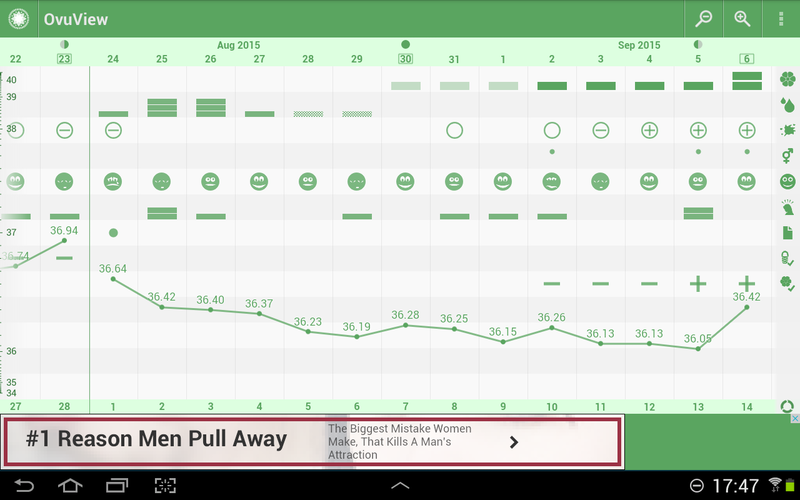 From tracking temperature and LH tests I have found out that the pain I get mid cycle is actually some hours after I ovulate, you see yesterday I got a positive LH which means I’m about to ovulate, and I had the temp spike of about 0.4c this morning, which means it has happened, I got my mid cycle pain at about 8am when I was in the middle of a stocktake (I was helping stocktake the fragrance department this morning =) some are lovely, most are too strong for me).